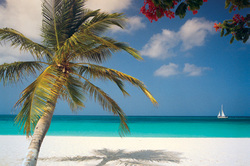 For our honeymoon, we cruises the southern Caribbean with Royal Caribbean. 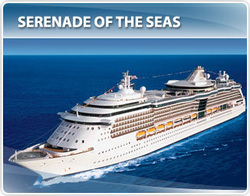 We sailed the Serenade of the Seas. 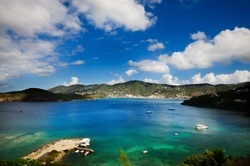 Our itinerary included two sea days and ports of St. Thomas, St. Kitts, Aruba and Curacao. We left out of San Juan for our 7-day cruise. We flew into San Juan a day early to enjoy some time in the city and to ensure we didn't miss the boat! With dormant volcanoes, pink beaches and gorgeous green hills, St. Kitts is a beautiful backdrop to your Caribbean adventure. 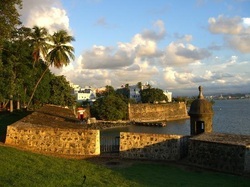 Founded in 1623 by both the French and the British, the island's deep colonial history is reflected in the abandoned fortresses, as well as its landscaped gardens, city squares and architectural details. Our ship had an indoor adult only pool. 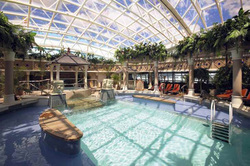 The Solarium area has a pool and several hot tubs. I'm sure during our sea days we will spend time around this pool and the others on the ship. 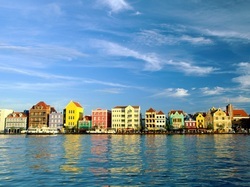 Curaçao is the largest of the six islands that comprise the Netherlands Antilles. It gained autonomy from the Netherlands in 1954, but the Dutch influence is still very visible in Willemstad's architecture and culture. With the growth of the oil industry in Curaçao in the early 20th century, workers and their families came to the island from more than 50 countries, providing a varied and vibrant population. Everyone should experience the sights, sounds and energy of this unique destination. 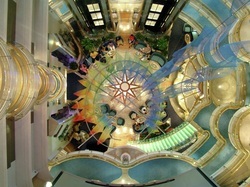 Sea days also give you a chance to explore the ship more and take lots of great photos! We will arrive in port in San Juan early and catch a mid-day flight back home!